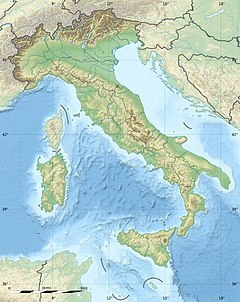 In May 2012, two major earthquakes struck Northern Italy, causing 27 deaths and widespread damage. In Italy they became known as the 2012 Emilia earthquakes. The first earthquake, registering magnitude 6.1, struck in the Emilia-Romagna region, about 36 kilometres (22 mi) north of the city of Bologna, on 20 May at 04:03 local time (02:03 UTC). The epicentre was between Finale Emilia, Bondeno and Sermide. Two aftershocks of magnitude 5.2 occurred, one approximately an hour after the main event and another approximately eleven hours after the main event. Seven people were killed. The Po Plain, a foreland basin formed by the downflexing of the crust by the loading of the Apennine thrust sheets, overlies and mainly conceals the active front of the Northern Apennines fold and thrust belt, across which there is about one millimeter (0.04 in) per year of active shortening at present. Information from hydrocarbon exploration demonstrates that the area is underlain by a series of active thrust faults and related folds, some of which have been detected from anomalous drainage patterns. These blind thrust faults are roughly WNW-ESE trending, parallel to the mountain front, and dip shallowly towards the south-southwest. Several damaging historical earthquakes, such as the 1570 Ferrara earthquake, have occurred in the area. The damaged church of Saint Paul in Mirabello, Ferrara. The 20 May earthquake sequence began with a magnitude 4.0 foreshock at 01:13 local time (23:13 UTC 19 May). Less than three hours later, at 04:04 local time (02:04 UTC) the biggest of these earthquakes occurred with magnitude 6.1 between Finale Emilia (province of Modena) and Sant'Agostino (province of Ferrara). This strong quake destroyed all the churches and many of the factories in the area. Seven people were killed. In San Carlo more than 350 families lost their houses. Within the next nine days, there were six aftershocks exceeding magnitude 5, 28 of magnitude 4–5 and 139 of magnitude 3–4. The mainshock could be felt as far away as Switzerland. The focal mechanism indicates that the earthquake was a result of thrust faulting, with a north-south direction of compression, on a fault plane trending west-east. This type of faulting is consistent with the regional tectonic setting. On 29 May (about 09:00 CEST, 07:00 UTC), a magnitude 5.8 earthquake hit the same area. The hypocentre has been estimated at 5–10 kilometres (3–6 mi) below Mirandola. A series of two or three, according to different sources, strong aftershocks with magnitudes larger than 5 occurred at between 12:55 and 13:02 local time. The 09:00 shock and the 13:00 shocks were felt throughout Northern Italy, up to the Aosta province. The 09:00 earthquake could be felt in Austria, Switzerland, and Croatia, with reports of swaying buildings in Austria. The two large aftershocks at 12:55 and 13:02 could also be felt in Austria. This earthquake had a similar mechanism to the 20 May shock. This earthquake, like the previous earthquake of 20 May, was distinctly felt in Trentino Alto Adige. It was especially felt on the upper floors of buildings both in Trento and Bolzano, and created some concern among residents. On 6 June at 06:08 local time, a magnitude 4.5 earthquake hit 50 km further east with an epicenter off the coast of Ravenna in Romagna at a depth 25.6 km. The earthquake was felt strongly and distinctly in Ravenna and Rimini, then less in Pesaro and Ancona, and very slightly in the province of Modena, in areas already affected by earthquakes in recent days. This earthquake was generated by a fault other than that responsible for the earthquakes of 20 and 29 May in Emilia, although part of the same group of geological structures. A destroyed house in Cento. Initial reports after the 20 May shock listed seven dead, including four workers at a factory in Ferrara, and about 5,000 people left homeless. At least 100 structures of historical significance have been damaged or destroyed. Many churches in towns around the epicentre suffered damage. One of the towers of Castello Estense, a moated medieval structure in the centre of Ferrara, was damaged in the earthquake. Half of a clock tower in Finale Emilia dating from the 13th century (known as the torre dei modenesi) fell down in the mainshock and the remaining part collapsed completely during an aftershock later that day. There was also significant damage to factories and agricultural land in the region. Production of Grana Padano and Parmigiano-Reggiano hard cheeses was badly affected; approximately 300,000 wheels, with an estimated value of €200 million, were destroyed. The damaged town hall of Sant'Agostino. Five of the deaths were caused by the collapse of recently constructed factory buildings. Stefano Gresta, president of the National Institute of Geophysics and Volcanology, deemed it "unacceptable that modern constructions such as warehouses and industrial sheds have collapsed in an earthquake which was strong, but not exceptional". The area was not included in seismic hazard maps until 2003, when, after a reassessment, it was classified as "medium risk", with a 10% likelihood of such an earthquake in the next 450 years. A law introduced in 2006 imposed building standards appropriate for the seismic hazard classification, but few of the older buildings have been upgraded to meet these requirements. The 29 May magnitude 5.8 earthquake left 18 people dead, more than 350 injured, and more than 15,000 homeless. The 15th-century cathedral of Mirandola, already damaged on 20 May, collapsed after the 29 May shock. [unreliable source?] The earthquake was felt in most of Northern Italy, triggering evacuation of schools and other buildings. Some buildings in the Modena province and neighbouring areas, already damaged in the first earthquake, collapsed. The damaged church of Saint Martin of Tours in Cento, Ferrara. After the main shock of 20 May, inspections were underway to determine which buildings were safe to reenter. The 29 May earthquake occurred during the daytime, when many people were working. As in the mainshock of 20 May, many of the dead in the 29 May earthquake were workers inside huge warehouses and factories. A local union representative has demanded an investigation to determine who was responsible for permitting the companies to resume operations. Both the 20 May and 29 May events caused damage to the neighbouring provinces of Bologna, Reggio Emilia, Rovigo and Mantua, where parts of the ducal palace were damaged. The earthquake of 3 June was felt throughout Northern Italy, has caused the collapse of the 18th century clock tower in Novi di Modena, already imperiled by the earthquake of recent days. The earthquake damage in Emilia "could exceed 4 billion" according to the vice-president of Confindustria Emilia-Romagna, Gaetano Maccaferri, who released these figures in testimony before the Senate Committee on Industry. ^ a b Jewkes, Stephen (20 May 2012). "Strong quake hits North Italy, at least three dead". Reuters. Retrieved 20 May 2012. ^ "Un seísmo de 5,9 grados sacude Italia y deja al menos tres muertos". El País. 27 February 2012. Retrieved 20 May 2012. ^ "Magnitude 5.2 – NORTHERN ITALY". United States Geological Survey. Archived from the original on 23 May 2012. Retrieved 20 May 2012. ^ "Magnitude 5.1 – NORTHERN ITALY". United States Geological Survey. Archived from the original on 23 May 2012. Retrieved 20 May 2012. ^ BBC (29 May 2012). "New earthquake shakes northern Italy – 'nine dead'". BBC News. Retrieved 29 May 2012. ^ "Terremoto : 16 morti, e 350 feriti Monti: «Lo Stato farà tutto il possibile". Corriere.it. 24 December 2009. Retrieved 30 October 2016. ^ Toscani, G.; Burrato P.; Di Bucci D.; Seno S & Valensise, G. (2008). "Plio-Quaternary tectonic evolution of the Northern Apennines thrust fronts (Bologna-Ferrara section, Italy): seismotectonic implications" (PDF). Bollettino Società Geologica Italiana. Retrieved 24 May 2012. ^ European Mediterranean Seismological Centre (23 May 2012). "M 6.1 Northern Italy on May 20th 2012 at 02:03 UTC". Retrieved 24 May 2012. ^ a b "Schweizerischer Erdbebendienst (SED)". Swiss Seismological Service. Retrieved 31 May 2012. ^ "M 6.0, 5.8, and 5.4 Northern Italy Earthquakes of May 2012" (PDF). USGS. 29 May 2012. Retrieved 29 May 2012. ^ Istituto Nazionale di Geofisica e Vulcanologia. "Terremoto M5.9 Modena" (PDF) (in Italian). Retrieved 24 May 2012. ^ a b "Terremoto, scossa di 5,7 a Nord, Sisma avvertito anche a Milano" (in Italian). ^ "Tremblement de terre: L'Emilie-Romagne panse ses plaies – Monde". 24heures.ch. Retrieved 31 May 2012. ^ a b "Aktuelle Informationen". ZAMG. Archived from the original on 1 June 2012. Retrieved 31 May 2012. ^ "Terremoto: 10 vittime. Scossa di 5.8 in Emilia e nel Nord. Nuova fortissima scossa alle 12:56, per almeno 30 secondi" (in Italian). ^ ANSA (3 June 2012). "Sisma, Ue 'Catastrofe nazionale, presto fondi' — Sisma alle 21,20. Epicentro tra Novi, Concordia e San Possidonio in zone evacuate. Solo malori". Agenzia Nazionale Stampa Associata. Retrieved 3 June 2012. ^ Istituto Nazionale di Geofisica e Vulcanologia. "Magnitudo(Ml) 4.5 – ITALIA – Evento in mare" (in Italian). Archived from the original on 8 June 2012. Retrieved 6 June 2012. ^ ANSA (6 June 2012). "Scossa al largo di Ravenna generata da nuova faglia". Agenzia Nazionale Stampa Associata. Retrieved 6 June 2012. ^ a b "Terremoto, scossa di magnitudo 5.9 Epicentro a 36 km a nord di Bologna". Corriere della sera. 20 May 2012. Retrieved 20 May 2012. ^ "Forte scossa di terremoto a nord di Bologna Paura, gente per strada, almeno una vittima". La Repubblica. Retrieved 20 May 2012. ^ Evans, R.; Pisa N. (21 May 2012). "Staggering pictures show how buildings cracked in half during Italian earthquake which claimed six lives". London: MailOnline. Retrieved 12 June 2012. ^ Salim, Dizery (21 May 2012). "Italy quake highlights need to educate the public, says expert". United Nations International Strategy for Disaster Reduction. Retrieved 25 May 2012. ^ a b Nosengo, Nicola (22 May 2012). "Italian earthquake toll highlights poor preparedness". Nature newsblog. Retrieved 24 May 2012. ^ Pisa, N.; Gavaghan J. (30 May 2012). "Priest dies in church collapse while trying to rescue statue as second major earthquake to hit Italy in days kills at least 15 others". London: MailOnline. Retrieved 12 June 2012. ^ Colleen Barry; Alberto Arsie (29 May 2012). "Workers among 17 dead in latest big Italian quake". Associated Press. ^ "Terremoto, l'allarme di Confindustria: danni per oltre quattro miliardi, lo Stato intervenga". Retrieved 25 August 2016.